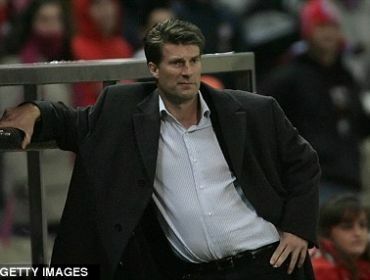 Swansea have confirmed the appointment of former Denmark international Michael Laudrup as their new manager. Michael Laudrup replaces Brendan Rodgers who joined Liverpool earlier this month. The former Brondby, Getafe, Spartak Moscow and Real Mallorca boss has penned a two-year-deal with the Welsh club. He arrives in Wales on 21st June for the first press interview. The Great Dane has signed a two-year contract at the Liberty Stadium after a week of negotiations, but Sportsmail understands he has been on chairman Huw Jenkins’ radar since March, when ‘succession planning’ meetings were first held among the club’s hierarchy to discuss the possibility of Rodgers leaving for Tottenham. Graeme Jones, the Wigan No 2 who was Roberto Martinez’s assistant in South Wales, is thought to have been mentioned prominently in those discussions, but when he snubbed an approach a fortnight ago. Jenkins pushed hard for Laudrup – who turned 48 recently – who’s been out of work since quitting Real Mallorca in September. 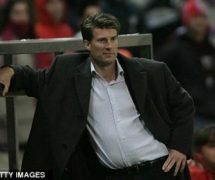 It’s believed that the appointment of a winner of multiple titles with Barcelona, Real Madrid, Juventus and Ajax was partially motivated by the need to lift training-ground spirits after Rodgers’ departure to Liverpool, but of far greater significance is Laudrup’s dedication to possession football and his achievements on a budget. Bored This Summer? You Shouldn’t Be With All This Going On. Acttualy he should to a good job. probably better than Brendan Rodgers because he has more experience than Brendon.